This fund was made possible through the Georgia Breast Cancer License Tag Program. 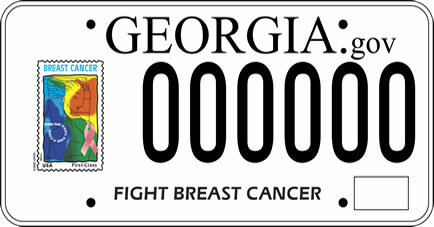 $22 of every Breast Cancer License Tag purchased goes to help underserved women in Georgia. Please fill out the form completely. Incomplete forms will not be considered. Decisions will be communicated within 5 business days. If approved, you will receive an identification number. The lab performing the testing will be chosen by Georgia CORE. You, as the Genetic Service Professional, will be responsible for education, ordering testing, securing test kits, and collecting and sending specimens. Following testing, Georgia CORE will request a de-identified copy of the patients results for tracking purposes. All invoices will be handled by Georgia CORE staff members. If you have any questions, please contact info@georgiacore.org.